Only time will tell whether pop star Azealia Banks will remain known in human history for her songs or for being the person that called out Tesla CEO Mr. Elon Musk’s acid usage. Many stories have abounded about the now infamous Twitter rant beginning of August that got Mr. Musk fired as chairman of his own company, but none more interesting than this one. It was his then infamous ‘I’m considering taking Tesla private at $420 a share’ which was the start of the mess he’s now in. Related coverage: <a href="https://thegoldwater.com/news/38337-Tesla-Steve-Jobs-Downgrade-Revisited-As-Elon-Musk-Steps-Down-As-Chairman"> Tesla - Steve Jobs Downgrade Revisited As Elon Musk Steps Down As Chairman</a>. Of course, the $20 million fine he received from the SEC earlier this week was, as we also called it, nothing but a slap on the wrist. The real insult to Mr. Musk was the fact that he’s been ‘demoted’ and now has to answer to his board like a good schoolboy. After taking a 3-day hiatus from social media between 1 and 4 October, Mr. Musk came back in full force last night, calling out the Securities and Exchange Commission (SEC) for their fine. Mr. Musk thus claims that the SEC came to the help of his eternal enemies, the short-sellers of Tesla stock who apparently lost millions when he made his now infamous twitter claims about taking his company private in August. 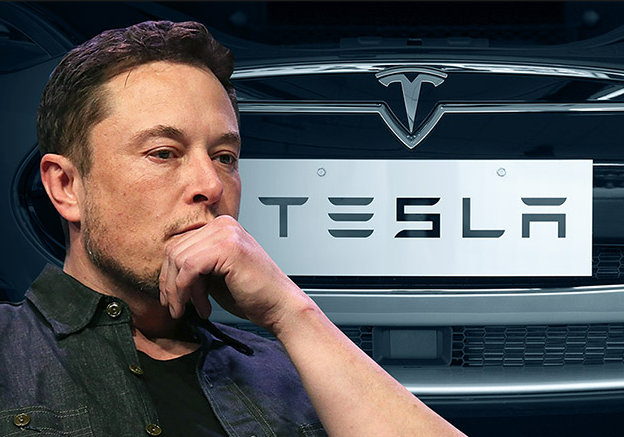 However, given his recent rants on social media, it is in fact exactly the short-sellers which have been the real winners, as Tesla shares have dropped some 25% in the space of one month and are still down for the year. Many financial analysts had expected that Mr. Musk would "rein in his Twitter habit," but he is apparently not there just yet.